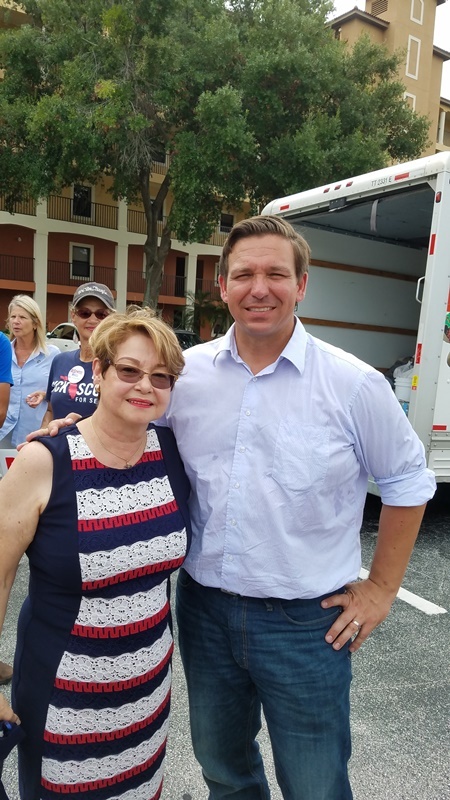 Home LIFA News Ron DeSantis, candidate for governor of Florida was in Orlando this week working on the project of gathering water and food for the victims of hurricane, Michael. Amapola Hansberger, president of LIFA, was there as well. Ron DeSantis, candidate for governor of Florida, and Amapola Hansberger, president of LIFA.